Yes sad, to the world of music, to the world of fusion music lovers, musicians, guitar players. April 16th in the afternoon (CET) his family communicated via social media that Allan Holdsworth, world renounced guitar & musician genius, father and grandfather, had unexpectedly passed away on April 15th. 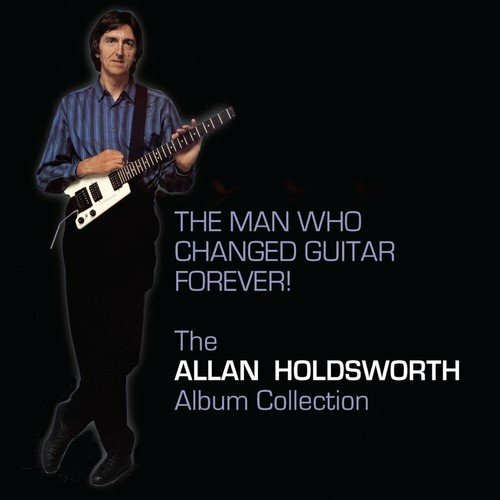 For those of us who grew up in the late 60s and 70s Allan Holdsworth was synonymous with unconventional approaches, to guitar playing, chords, solos and composition. Allan Holdsworth was an artist who’s approach to music was different from most others. He established his own musical Galaxy, and many of us journeyed there quite often. I quite early took on an interest in and passion for this brilliant artistry and approach in every respect of the words. Must have been around 10 or 11 when I heard his music magic for the first time. Through countless solos, countless tracks and on various albums, he introduced me to improvisation, something that above everything else, have led to sustained interest in playing and improvising. I don’t play guitar, but keyboard, but it didn’t matter. Music is a universal language, Allan Holdsworth’s dialect just hit me on so many levels. It would not be wrong to say the world lost one of the greatest guitar players in the history of modern music on that day. He will forever be remembered, respected, listened to. His music will live on, till the end of time. He truly was the man who changed guitar forever. I thought about what to add of music to entail this blog post. Too many choices. So I ended up with this one. “Fred” means Peace in my tongue. This entry was posted in Art & Music related and tagged Music. Bookmark the permalink. ← A new two-wheel “toy”, and it’s really an Adventure!